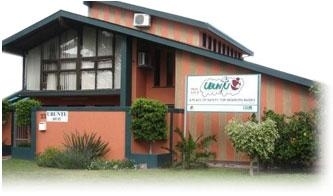 Ubuntu house is a registered Child and Youth Care Centre with a temporary safe care program and is part of the AFM Executive Welfare Councils uMephi C&YCC project. Ubuntu House take care of babies from birth to two years who have been abandoned, orphaned, neglected or who was born out of an unplanned and crisis pregnancy. Since the house opened its doors to the first baby in 2003 until 2015 we have cared for 528 children. When possible babies are reunited with their parents or biological families. If reunification is not possible babies are placed in a forever family through adoption and 425 babies were placed with adoptive parents over the last 12 years. Ubuntu House is linked with accredited adoption units such as Procare and ABBA Adoptions. They offer specialized services of the highest standard to prospective adoptive parents as well as to birth mothers and fathers who want to make an informed decision about the future of their children. Their experienced social workers are accredited to render adoption services in South Africa and registered with the SACSSP. Ubuntu House is linked with accredited adoption units such as Procare and ABBA Adoptions.They offer specialized services of the highest standard to prospective adoptive parents. Please support us & complete the necessary form to inform us of you donation and/or contribution. Every contribution, no matter how big or small, allow us to change the life of a child! Become a volunteer at Ubuntu House and offer us some of your time to be involved with the care of our babies. Look at the requirements for volunteers and complete the necessary forms in order to become involved.